U.S. President Donald Trump gave a shout-out Wednesday to “the leading authority on China,” sparking a flurry of Google searches as viewers raced to identify him. 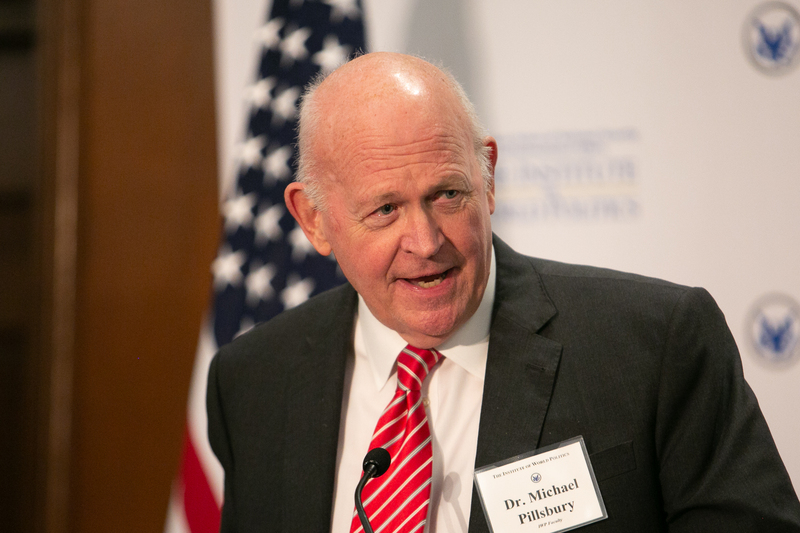 Pillsbury is director of the Center on Chinese Strategy at the Hudson Institute, a conservative think tank in Washington. During the Reagan administration, he was an assistant undersecretary of defense for policy planning. He is a frequent visitor to China as well as military conferences such as the annual Shangri-La Dialogue in Singapore. Pillsbury also advised Trump’s transition team.